WBA number three ranked super flyweight Andrew ‘The Monster’ Moloney 18-0 (11) believes he has defeated better opposition than anyone on the ledger of WBA number two contender Miguel Gonzalez 29-1 (6) who he will face in an official WBA world title eliminator at the Gran Arena Monticello in San Francisco de Mostazal in Chile on March 22. Last September the 28-year-old undefeated Australian delivered a scintillating performance to outbox and out-brawl Panamanian former world champion Luis Concepcion 37-7 (26), stopping him in the 10th round of a scheduled 12-round bout. “I would say that it was the best performance of my career although I still feel there was a lot of things I could have done better after watching the fight back,” Moloney said to Boxing Monthly. “I believe I have been improving with every fight and I have made some huge improvements since training under Angelo Hyder who is an amazing coach. Moloney, who will be the puncher in this fight, says he is expecting tough opposition from Gonzalez, whose lone loss was on points to future IBF bantamweight champion Paul Butler 27-2 (14) in 2013. 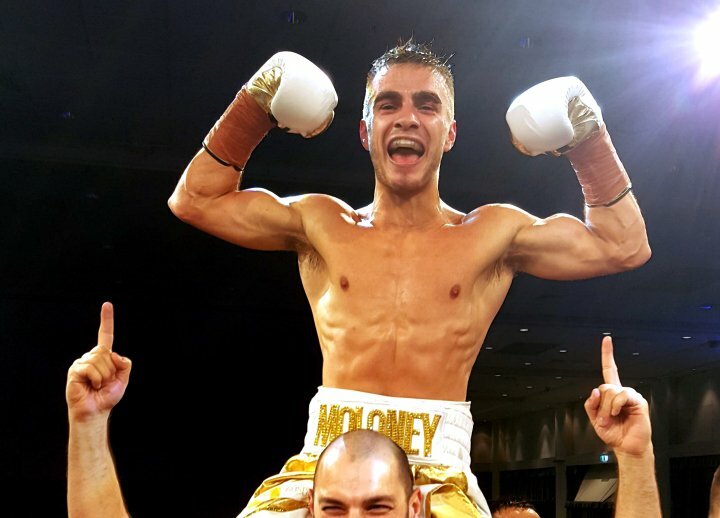 Moloney is targeting undefeated WBA champion Kal Yafai 25-0 (15) of England, a fighter he believes is very beatable.